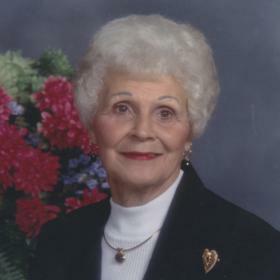 Barbara J. Bolks, age 88, of Holland died Tuesday, December 11, 2018 at Resthaven Care Center. Barb was a member of Trinity Reformed Church. She loved her family and friends, golfing, bowling and caring for her yard. She was preceded in death by her husband Earl Bolks in 2000, daughter Sue Weller in 2004, and stepson Don Bolks in 2009. She is survived by her son: David and Anna Cook of Florida; stepson: Earle and Nancy Bolks of Texas; 11 grandchildren; 17 great grandchildren; one great great granddaughter; sisters: Elaine Phillips of Whitehall, OH; Arlene Van Hekken of Holland; brother and sister-in-law: Ken Bolks of Holland; Carolyn and Jay Schreur of Hamilton; son-in-law: David Weller of Florida; many nieces, nephews and cousins. A funeral service will be 12:30 pm, Friday, December 14, 2018 at Trinity Reformed Church, 712 Apple Avenue in Holland. Reverend Deb Yurk will be officiating. Burial will be in Riverside Cemetery in Hamilton.